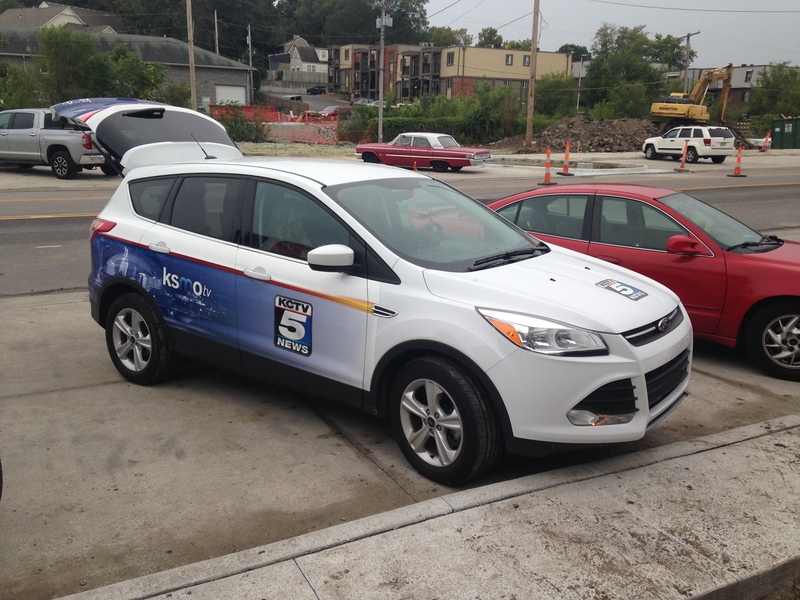 KCTV5 at Mission Repair Express Today! They were very concerned about the reports of the iPhone 6 Plus “bending” when you insert it into your pocket; which I guess to me sounds a little bit like a feasible situation. Put your phone into your pocket, sit on it, and it bends. Apparently the issue may be more than that…and since we’ve seen the inside of the iPhone 6 (which doesn’t have much “structural” support like the iPhone 5S does) the plausibility of “bending” is there. We haven’t seen a bent iPhone 6 in our lab yet. Cracked screens, yes…bent phones, no. Check us on on KCTV 5 today at 6:15, and you’ll see me trying to talk my way out of the iPhone 6 Plus bending issue 😉 Let’s see how they put this one together! I’ll be back shortly with more info on the iPhone 6 Plus bending problem in a blog later today.